These days, there lots of disasters came by to this world, specifically to my country Indonesia. Sad of course. In less than 2 days, 2 disasters came in a row. 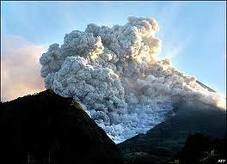 7.2 SR earthquake follow by Tsuname happened in October 26th, and not too long after that, Merapi volcano has erupted. thousands of people died. Nature is showing no mercy for the Southeast Asian nation of Indonesia this week. 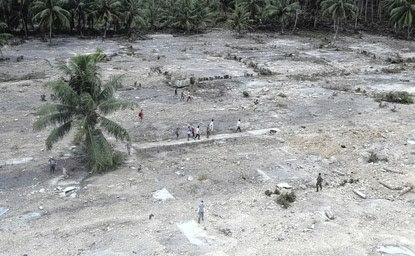 Coming to grips with the eruption of its most volatile volcano, Indonesia must now contend with an earthquake and tsunami that has battered its isolated Mentawai Islands region. At least 311 people have been killed in the magnitude-7.7 earthquake according to the head of West Sumatra's disaster management agency Wednesday. Another 410 people are still missing. After all that happen, do we learn something? or just let it go and pray for the victims? Those disasters came as a result of what we have done. Cutting trees and ignoring what we're not supposed to ignore. Don't we realize it leads toward something? the end of the earth. The mother earth is tired. Tired to hold on everything. Flood in Wasior has killed hundreds people. Why is that happen? That's because of cutting trees everywhere so the soil couldn't hold the water. But people just don't care. They give the empathy, but keep cutting the trees. Maybe some of us think, ok it's not me that died, but don't they realize that the die comes after them? My friends, my family, and people who i don't know. If you do care, if you do wanna save the earth, or if you do wanna save yourself, please, stop cutting trees. All the disasters that happen are only a small part of what we might heading forward. We're alive now but it can't guarantee that we're gonna alive forever. At least please save other people and our children.